Craig focuses on a planning based process for our clients. Adding structure and discipline to a plan can be a very freeing for our clients who may at times feel out of control or uneasy regarding a transition. His goal for his clients is to maximize their comfort level and enjoyment, while keeping an eye on the long term – with a plan designed to help preserve their assets. He finds great satisfaction in his ability to make a meaningful difference in the lives of our clients' families. 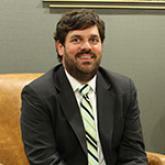 He co-founded Dogwood Wealth Advisors with Richard Schooley, Jr. in August 2014 and runs their Atlanta office. Previously in his career, he spent 13 years as a Wealth Advisor and Senior Vice President at Morgan Stanley. He earned a bachelor's degree in Finance from the University of Georgia. In 2015, Craig ranked #12 on Registered Rep Magazine and WealthManagement.com's list of top NextGen IBD Advisors Under 40*. Craig is a member of The Academy of Special Needs Planners and the Raymond James Chairman's Council. Craig's personal experience of having son with special needs gives him great perspective in assisting other families facing similar challenges. Planning issues become much more complex for these families and creating a team of allied professionals is crucial. Originally from Dublin, Georgia, Craig lives in Atlanta's Virginia Highland neighborhood with his wife, Eryn, and children, Baker, Grant, Maggie and Garrett. His favorite leisure time pursuits include cooking and golf. * Advisors on the Top NextGen Independent Broker/Dealer Advisors list are ranked exclusively by total assets under management. To be eligible, advisors had to be under the age of 40 as of Jan. 1, 2016. Nominations were solicited from the top 30 Independent Broker/Dealers by headcount, sourced from Cerulli Associates. The ranking may not be representative of any one client's experience, is not an endorsement, and is not indicative of future performance. Neither Raymond James nor any of its Financial Advisors pay a fee in exchange for this award/rating. REP Magazine, Cerulli Associates is not affiliated with Raymond James. Rankings are comprised of wirehouses, independent and RIA advisors; individual advisors not required to be individually registered in FINRA. We stand ready to serve as your trusted financial counselor who understands and cares about the goals you have for your family and your future. We know that your objectives and aspirations are uniquely yours – and deserve a strategy and plan customized specifically to your family. With a Chartered Special Needs Consultant (ChSNC® ) on staff and access to Raymond James Trust, N.A. we are uniquely positioned to act as member on your team of allied professionals.